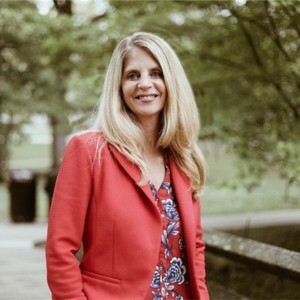 Julie Johnston is the Director of Learning Spaces for Indiana University. This position manages four entities of UITS Learning Technologies: Classroom Technology Services, Learning Space Design, Collaboration Technologies, Student Technology Computing, and Technology Computer Consulting. Along with managing these services, she is ultimately responsible for the design of Learning Spaces for the campus, specifically active learning classrooms, informal learning spaces, and student technology center spaces. She was actively involved in assisting with the launch of Indiana University's new active learning initiative, Mosaic. Julie has over 20+ years working in Instructional Technology Leadership positions in higher education and K-12. She recently designed and opened a creative meeting space as a side passion project called VisionLoft in downtown Indy. Julie Johnston has been a guest on 1 episode.